With the recent Academy Award recognition of the films "Darkest Hour" and "The Shape of Water," and the deluge of excellent entries we received for our Character Makeup Contest, it's clear that practical makeup effects are here to stay. We applaud all of you who poured your hearts and souls into your submissions, and we wish, as always, that we could select more than a single winning makeup. Alas, there can be only one. And that honor goes to makeup artists Josef Rarach and Vlad Taupesh from the Czech Republic for their demonic creation, "Flos Florum." From the points of his mighty horns to the tips of his cloven hooves, we were fired up by this hellish makeup, and we're sure that Rob Bottin and Tim Curry's "Darkness" from Legend would most certainly share in our excitement. 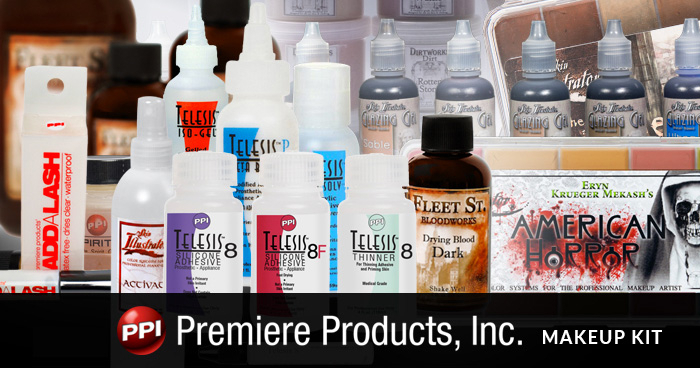 Makeup Effects Kit - Sponsored by PPI Premiere Products Inc.
Congratulations from all of us, Josef and Vlad! Yes!! Incredible job... Congrats! Your work is inspirational!!! Congratulations!!!! Your work is beyond amazing!!! congrats! your work is awesome and well deserved!